The Foodie Monster! : Cheese Stuffed Burgers at the Stumble Inn! Good Eats in the NYC/NJ area...and beyond! 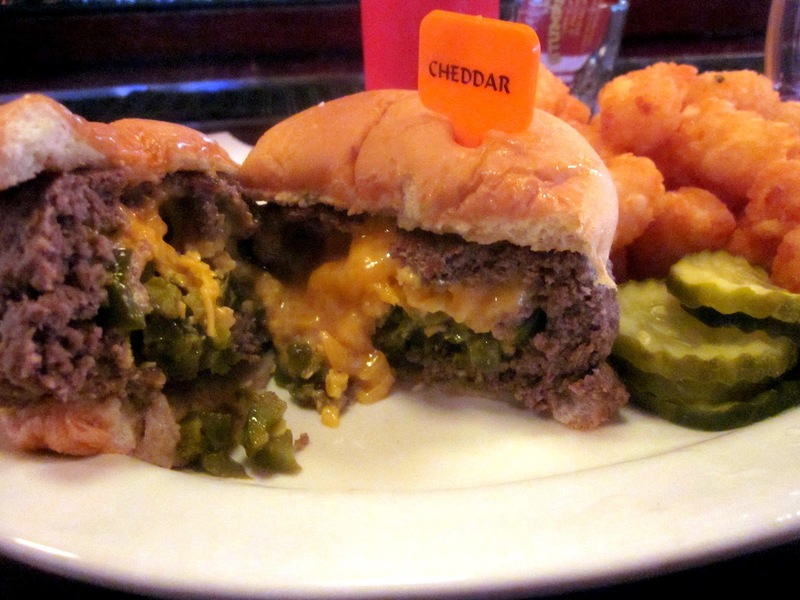 Cheese Stuffed Burgers at the Stumble Inn! I'm always on the lookout for a new take on the burger and the Stumble Inn on the Upper East Side has a variety of cheese stuffed burgers and cheap drinks in a no-frills dive-y atmosphere. The bar is part of the same chain that owns Down The Hatch, Three Sheets, Off The Wagon, 13th Step, etc. and I had a deal for each of those places that feature a pint of beer and their signature dish.